Who is at fault here, mindless robots or fallible humans? As anyone who’s dealt with an annoyingly inaccurate customer service voice recognition robot knows, the problem with automation is that it’s designed to work for a generic set of conditions. Vary those a little, such as when your question goes beyond billing, activation, or a simple device reset or in this case, when parking a Tesla Model X next to a freeway with passing cars whist its doors are set to open automatically when unlocked, and the robot’s lack of situational awareness is destined to cause trouble. 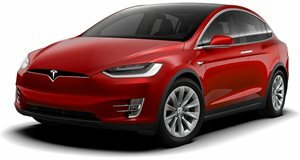 Dr. Sam Kovac a veterinarian in Sidney, Australia, shared his Model X 90D’s moment of shame and the subsequent dispute it caused between him and Tesla with Car Advice. It all took place while Kovac was tending to sick pets and distraught owners at work. At some point in his day, a nurse came in and informed him that a passing truck had ripped the front passenger-side door off of his SUV. CCTV footage obtained by Kovac shows that the Model X’s driver and passenger-side doors began to open by themselves after the indicators flashed, the response expected if the SUV was unlocked from the key fob whilst the Automatic Doors feature is turned on. As the passenger-side door was opening, a passing truck ripped it from its hinges. Thankfully nobody was hurt in the incident, but it did spark a dispute between Kovac and Tesla, with the doctor claiming that he neither pressed the unlock button on his key fob or set his Model X to open its doors automatically in the first place. After calling Tesla for support and paying to have the Model X towed to the repair shop, both Kovac and Tesla have been disputing over which party is at fault. Tesla claims that Kovac had turned on the Model X’s Automatic Doors function, which opens the driver and passenger doors when the unlock button is pressed twice. Tesla claims that the Model X was working properly by responding to key fob input, whether Kovac pressed it by accident or on purpose. On the other hand, Kovac claims that he neither turned on Automatic Doors (the setting is off by default) or pressed the key fob to unlock his car. The incident has shaken Kovac, who now wants to get rid of his Model X over fears that he can no longer trust the vehicle. Tesla has offered to buy back the $197,000 Model X for $115,000, though it claims that the offer is not an admission of guilt. Tesla also claims that Kovac has changed his story over time when speaking to representatives. Whether the incident is the result of an accidental press or a misbehaving Model X, one thing remains clear: automakers and owners have a learning curve to conquer as semi-situationally aware humans are replaced by robots preform binary tasks.